Third Sector Dumfries and Galloway continues its successful roadshows across the region in January. Any community group or organisation looking for help, support or advice can drop in and meet an engagement officer or contact them to book a one-to-one appointment. 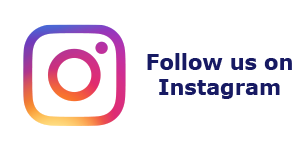 This can include advice on funding, volunteering opportunities, governance, setting up a charity or social enterprise, constitutions, asset transfer, and more. 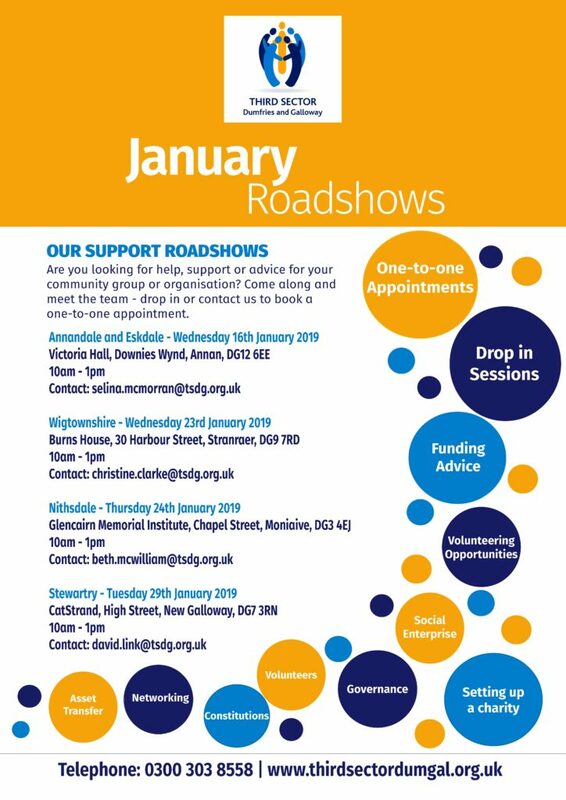 The next round of roadshows will visit Annan (Wednesday, January 16); Stranraer (Wednesday, January 23); Moniaive (Thursday, January 24); and New Galloway (Tuesday, January 29). For more information see the poster.